From buildings to bridges — highways to hydro plants — critical infrastructure must be built to last. 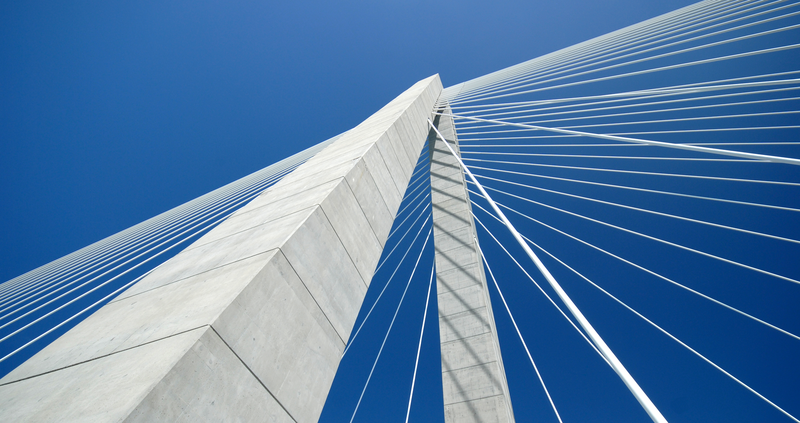 Whether you need design expertise on the front end of a construction project or an accurate end-of-life assessment, Structural Integrity offers creative solutions to high-stakes infrastructure issues. With decades of experience and unmatched engineering expertise, we make integrity the foundation of every project. Unique client requirements and architectural features tend to drive structural and seismic design of building systems — adding to the complexity. The more complex the design, the greater the need to scrutinize and measure the structure’s ability to withstand various loads. Clients from around the world count on Structural Integrity for in-depth design oversight and evaluations that put integrity to the test. From seismic retrofit evaluations to materials analyses, our meticulous approach and engineering expertise offer the assurance owners need. Structural Integrity specializes is the seismic protection of high-valued critical infrastructure, piping, and equipment. Our seismic analysis capabilities include time history analysis, in-structure-response spectra generation, seismic renovations, seismic evaluations, seismic damping and isolation systems, seismic restraints, and anchorage. Structural Integrity’s high-powered analytical capabilities, experience, and technical experts has helped clients determine the root cause of accidents and structural failures. We can employ non-linear material behavior, structural dynamics, fatigue, fracture mechanics, material science, thermal impacts, degradation, etc. into every evaluation. Structural Integrity has helped preserve, repair, and upgrade numerous historic structure across the US and internationally. Our high-powered analytical capabilities, including our in-house proprietary software, allows us to capture the true structural performance thereby minimizing upgrades, replacements, and preserving the original integrity of historic structures. The South Mesa Club building is a 50,241 sq. ft. one story structure on the Camp Pendleton Naval base. The Design-Build project consisted in the upgrade of building systems including the seismic investigation and retrofit of structural and non-structural components in accordance to present codes including ASCE 31 and ASCE 41. Structural Integrity developed the pre-bid ideas for the winning non-invasive seismic retrofit solution. Ideas were presented to the Naval Facilities Engineering Command and the Marine Corps with general schematic images of the proposed strengthening system in color coded isometric views and renderings. The structural design consisting of perimeter concrete shear walls and roof strengthening is in its final stages with construction scheduled summer of 2012. Structural Integrity was hired by multiple clients to evaluate structural damage and repairs of four structures, which were damaged in the series of 2010-2011 earthquakes, located in the central business district of Christchurch, New Zealand. SI completed a thorough structural assessment of the buildings documenting visual damage, permanent deformation, detailing, failed elements and a number of other structural concerns. They also provided a scope of repair and retrofit of the damaged structures to bring them back to an appropriate level of life safety and serviceability. Then developed a new design based on current code and performance requirements including use of Revit Structures. When pressure retaining components must be designed to satisfy challenging service requirements, Structural Integrity offers the expertise to meet unique operational needs. From design to operation, our industry-leading experts specialize in maximizing the usable life of infrastructure, while minimizing risk. 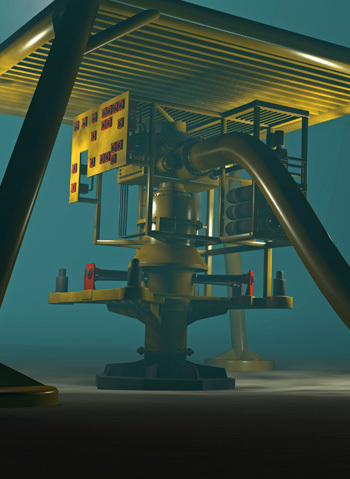 Deepwater operations are challenging the industry to develop Well Completion and Well Control Equipment that handle the conditions associated with High Pressure and/or High Temperature (HPHT) Environments. The technical challenges associated with pressure ratings greater than 15,000 psi or temperature ratings greater than 350°F, and the absence of code guidance, require operators to submit an engineering based approach that demonstrates the completion and other well control equipment, including SSSV’s, are capable of performing in the applicable HPHT environment. Structural Integrity has a full range of technical services to provide the engineering guidance in these environments. Protective design has never been more necessary than it is today. 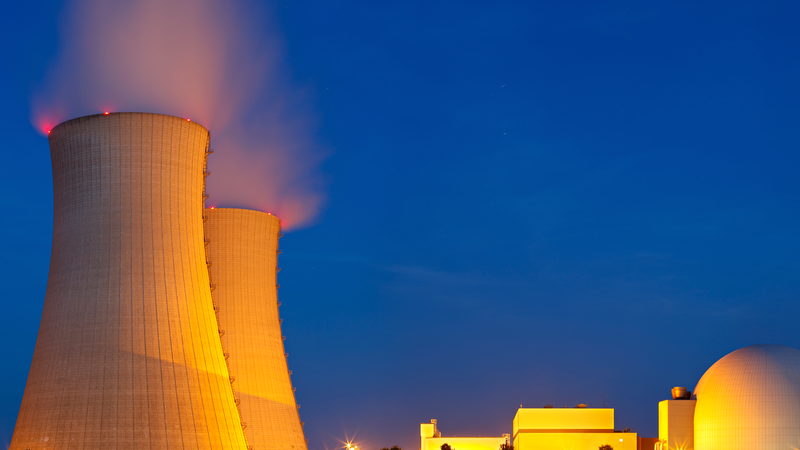 Structural Integrity brings multidisciplinary expertise and the holistic approach needed to effectively protect critical structures and equipment from the threat of an explosion or missile impact. As leading experts in mechanics, dynamics, and blast and impact criteria, we can ensure the inherent strength and protection of your structure. We offer a wide range of services designed to identify potential vulnerabilities and mitigation measures — and deliver peace of mind. Structural Integrity evaluates critical private and public infrastructure such as bridges, buildings, equipment, and tunnels for blast pressures. We model detonations, develop blast pressure time histories, evaluate structure performance, and develop hardened designs. In addition to developing and evaluating new and existing structures for blast loading conditions, Structural Integrity is experienced in hardening these structures to survive these events. Structural Integrity utilizes the highest powered analytical software to evaluate every kind of missile and impact scenario including vehicles, ships, tornado borne missiles, aircraft impacts, and load drops. Structural Integrity will custom design an impact barrier for any application including vehicle impact barriers, aircraft impact barriers, load drop barriers, etc. to protect buildings, equipment, and the public. Structural Integrity has subject matter experts in blasting and blast test programs and can consult with you to develop and manage your blast test program. Structural Integrity’s staff provided anti-terrorism force protection design services in support of the design-build construction of two facilities at Naval Air Station Whidbey Island: an existing building being renovated into an MTOC (Mobile Tactical Operations Center) facility and a new TOC (Tactical Operations Center) facility. Services included evaluation of the façades, roof, windows and doors of both buildings for resistance to blast loads. This project assessed the damage and potential threat to the bridge structure due to a bomb blast adjacent to the bridge's abutments, supporting truss, and hangers. Structural Integrity performed analytical simulations of multiple charges and associated blasts that created train derailment and damage. Bomb blast mitigation measures and bridge damage repair costs were prepared for this client. Structural Integrity's staff was asked to evaluate the risk and potential structural response of several subterranean columns exposed to a large “close-in” explosive charge. The columns supported a 40-story high-rise building above ground and any failure could result in progressive collapse. In addition, the building collapse would most likely cause a sequential collapse of the nearby mass transit tunnel. This catastrophic event prompted the building owner and Mass Transit authority to evaluate the blast threats. 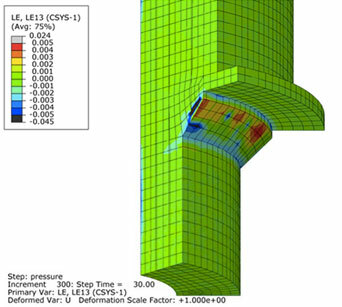 SI staff built detailed three-dimensional finite element models using LS-DYNA to quantify the potential damage and looked at retrofit options to mitigate a structural failure. This project simulated a blast loading in an underground passenger train tunnel with shock physical code coupled to structural code including fluid structure interaction. Because they provide critical, around-the-clock care, hospitals and healthcare facilities demand an added level of care in their design. Structural Integrity specializes in the rigorous design and evaluation of healthcare facilities throughout the U.S., including significant experience with the California Office of Statewide Health Planning & Development. We thrive at developing solutions that easily clear regulatory hurdles, so these critical facilities can keep their doors open — even when disaster strikes. Structural Integrity specializes is the seismic protection of healthcare facilities, hospitals, and their associated critical operating equipment, piping, and systems. Our seismic analysis capabilities include time history analysis, in-structure-response spectra generation, seismic renovations, seismic evaluations, seismic damping and isolation systems, seismic restraints, and anchorage. Structural Integrity can support the full spectrum of seismic qualification and certification of structures, systems and components. We can seismically qualify and certify any equipment, part or component through analytical methods or through our TRU Compliance seismic shake table testing certification agency. The Los Angeles County Department of Public Works renovated the Martin Luther King, Jr. (MLK) Medical Center. The project includes renovation of the Inpatient Tower and construction of a new Multi-service Ambulatory Care Center building. Structural Integrity evaluated the existing structural systems to determine the requirements for seismic restraint, structural integrity and performance against current code standards. The as-built information from the different phases of development and field survey information were collected, integrated and documented. The whole system was systematically evaluated for current code levels and design modifications were developed for identified deficiencies. A number of Huntair air handling units were proposed for installation at the new Kaiser Oakland Medical Center. Unfortunately, some of these new units fell outside the scope of the OSHPD OSP preapproval of the Huntair units. Structural Integrity provided consulting services on this project to ensure systems comply with the provisions of the CBC. This included development and integration of a structural frame system within air handling units for stacked systems. Design required consideration of not only traditional strength design, but also explicit consideration of the transmission of dynamic loading through the lower units. Modular vestibule systems were also designed to house various piping and electrical systems. This included development of seismic gap details between adjacent structures. Bridges and tunnels connect our world, getting people and products where they need to go — efficiently. Structural Integrity has long been a leader in bridging the knowledge gap about the strength of these key lifeline structures. We are experts in identifying potential vulnerabilities and predicting behaviors in existing structures, and developing creative solutions to complex design issues. Along with our cutting-edge ANACAP-U software, our toolkit includes material modeling, fatigue analyses and seismic, shock and impact dynamics techniques. Our deep understanding of system behavior and mechanics delivers solutions that work in the real world. Structural Integrity’s advanced analysis capabilities includes custom motor vehicle barrier design and marine vehicle impacts to bridge piers, abutments, and waterway infrastructure. Structural Integrity evaluates critical private and public infrastructure such as bridges and tunnels for blast pressures. We model detonations, develop blast pressure time histories, evaluate structure performance, and develop hardened designs. Structural Integrity is expert in evaluating new and existing infrastructure for seismic loading including time history analysis, seismic vulnerability assessments, and seismic retrofit evaluations. Structural Integrity has evaluated structures for beyond design basis events and bench marked our simulations with physical tests to predict structure behavior well beyond elastic limits using our non-linear software modeling capabilities. Structural Integrity has evaluated the suitability and has supported the restoration of many historic structures.We can model the degradation of materials, perform fatigue and fracture mechanics, and model the non-linear behavior of these structure for loading conditions that exceed their original design basis and ultimately preserve their original integrity for generations to come. Structural Integrity performed thermal analysis for the construction of the Benicia Martinez segmental bridge project in Northern California for CALTRANS. The concrete mix turned out to generate excessive heat of hydration and, therefore, a combination of cooling measures was required. We also performed heat of hydration analysis and evaluation of cooling systems for mass concrete placements and provided design alternatives for internal cooling of the mass concrete placement. SI worked with IBT Engineers on the Hodariyat bridge project and verified the BD2-to-LARSA model conversion. As part of this conversion process, substantial quality assurance checks were performed to ensure the proper conversion occurred. The upper pylon was designed using combined loads from BD2 and LARSA global models. Second order analysis was required to calculate p-delta effects in the pylon as code based modification factors for slenderness were found to have substantial conservatism. The Port Mann Bridge Project includes the construction of a new 10-lane bridge consisting of an 850 m signature span cable stayed structure and precast segmental approach spans built with both balanced cantilever and span-by-span construction. SI worked with IBT Engineers in the design of the main span floor beam system and median struts to resist all imposed loads during erection, service and extreme events. SI also designed approach span expansion pier segments and hinge beams, as well as checking main span edge girders for loads during erection. From locks and dams that make rivers more navigable to plants that turn water into kilowatts, Structural Integrity creates solid solutions for waterway infrastructure. Using advanced nonlinear techniques, our team can identify even the slightest vulnerability to seismic, fatigue and other hazards. Our wheelhouse also includes complex design issues and aging infrastructure. Along with our utility clients, we proudly support the United States Army Corp of Engineers in its mission to promote safe river navigation. Structural Integrity’s proprietary in-house concrete FEA code models the non-linear behavior of concrete which allows us to capture the ultimate structural behavior for loading conditions that exceed their original design basis. We have evaluated and renovated historic concrete dam infrastructure and saved utilities significant budgetary dollars in minimizing renovations and avoiding their replacement. Structural Integrity supported and helped write the USACE Technical Letter (ETL) 1110-2-365, which provides guidance for performing a nonlinear, incremental structural analysis (NISA) for massive concrete structures. We are the expert in calculating time dependent thermal gradients relative to the restraints against thermal expansion or contraction in a structure. Structural Integrity has performed advanced structural analysis on new and existing gates and locks including root cause analysis, fatigue, crack growth, seismic analysis, mass concrete, aging effects, and degradation analysis.. The seismic hazard risk for many areas of the country have increased and Structural Integrity is well suited to perform stability analysis of both concrete and earthen dams. We have provided design solutions to renovate or to bring existing infrastructure into compliance for safety with current seismic demands. Structural Integrity utilizes the best soil fragility experts in the industry to evaluate slope stability, soil-structure-interaction, and the stability of earthen dams. Structural Integrity recently supported numerous seismic analysis and evaluations of dams and intake structures for PG&E and has supported and successfully completed the seismic analysis and seismic renovations to the historic Lost Creek Dam. The earthen and rockfill gravity dam was constructed in 1958 by Pacific Gas and Electric Company with a height of 260 feet and a length of 3,330 feet at its crest. Structural Integrity performed a structural evaluation of the overall stability of the dam and the use of rock anchors. A new hydrological study indicated higher probable maximum flood levels. PG&E being concerned about overturning contracted with Structural Integrity to evaluate their design for installing rock anchors from crest into foundation. The purpose of the project was to address the design and safety issues associated with the proposed modifications to Lost Creek Dam. A nonlinear dynamic time history seismic analyses was performed with finite element models representing the existing conditions. Further revisions to those proposed modifications were recommended based on the assessment results. Critical to achieving meaningful results from the analysis of the concrete arch dam was the ability of our models to accurately capture tensile cracking, subsequent redistribution of stresses and changing load paths as damage progresses during a seismic event. Cresta dam is owned by Pacific Gas and Electric Company (PG&E) and is one of three PG&E FERC projects that are located along the main stem North Fork Feather River in California. PG&E wanted to evaluate the Dam for stability under the increased uplift pressures beneath the dam and called on Structural Integrity to perform an overall dam safety and stability analysis. Structural Integrity offers industry's leading scientists and analysts with extensive finite element analysis (FEA) of biological tissue, surgical procedures, biocontainment enclosures, and implants using high-powered modeling and analysis software. In addition to the most powerful commercial off-the-shelf software such as ABAQUS®, ANSYS®, COMSOL®, and LS DYNA®, we have developed our own FEA code that integrates with this software and provides state-of-the-art modeling of biomaterials and implants. Our FEA modeling analytics are proven and have been benchmarked with laboratory tests. Our detailed computational analytics accurately simulate physical conditions, which are used to support new product development through speeding product time to market and refining medical procedures and practices. hundreds of design iterations in the time it would take to perform one experimental study. Allowing device designers to optimize their designs, by examining the impact of design changes and predicting device procedural outcomes without the added cost and time of conducting experimental studies. With the depth of engineering expertise and the breadth of industries and facilities Structural Integrity services, the inclusion of Bend, Oregon - based TRU Compliance was an obvious fit to help facilitate a full scope of project-specific and product line approvals for a range of code requirements and disaster contingencies. Recognized as a leader in Seismic, Wind & Blast product certification since 2008, TRU Compliance is a full-service product certification agency designed to provide customized, turn-key certification programs tailored to meet our clients’ unique needs. These capabilities, together with the core strengths of Structural Integrity, allow clients the ability to qualify by analysis, and now, qualify by testing. TRU Compliance provides comprehensive solutions especially well-suited for structures, systems and components (SCCs) in the critical markets and industries served by Structural Integrity. Certification programs are founded on technically defensible approaches which satisfy the most stringent requirements and jurisdictional reviews. With over 15,000 individual product certifications to date, you can trust TRU Compliance and its extensive staff of experts to effectively execute projects from beginning to end. Structures may experience unforeseen operating environments or site-specific hazards leading to changes in the structures performance, safety, and longevity. These changes often prompt asset owners to undertake analysis efforts to ensure satisfactory structural performance for the updated conditions. However, conventional analyses which fail to capture the true behavior of a structure can lead to inaccurate analysis results, causing owners to make less than ideal asset management decisions. Structural Integrity Associates is uniquely positioned to pair our dynamic characterization and advanced structural analysis capabilities to generate a better structural model. Structural Integrity vibration experts use impact testing, forced vibration, or ambient excitation sources, along with proprietary signal processing software, to non-destructively characterize the dynamic behavior of structural systems. This characterization is used to inform advanced structural analyses by our analysis experts to provide more accurate results related to operational improvements, damage location, and retrofits. Tobolski Watkins Engineering (TWE), acquired by Structural Integrity in 2017, provided structural and seismic consulting related to the nonlinear analysis of a 30-story hotel to determine acceptable performance of the building during large earthquakes and tropical storms. TWE developed a 3D finite element model of the building to perform nonlinear time history analyses, modal analyses, and nonlinear pushover analyses. Additional work included in-situ testing of the main tower to determine the damped natural frequencies of vibration of the bare frame structure, prior to the construction of building cladding and nonstructural components. The purpose of the testing was to provide input for calibrating the finite element model of the building and for use as input to extreme wind load calculations. A fuel manufacturer ships nuclear fuel across the country via trailer transport. Structural Integrity was contracted to develop a test procedure and a mobile data acquisition system to measure the vibration acceleration experienced by the trailer and fuel packages during shipments across the United States. The system measured accelerations over the course of the multi-day shipment. Our experts analyzed the data to better characterize the vibration acceleration amplitudes as well as frequency content of the trailer-package-fuel assembly system as vibration is transmitted from the road through the trailer suspension, packages, and into the fuel assemblies. The improved understanding of the vibration signature for the transport system assists the manufacturer in making decisions on how to best mitigate vibration levels during future transportation.